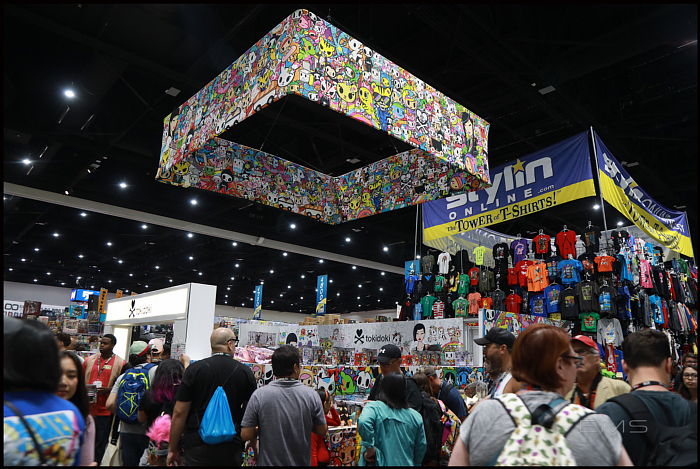 Comic-Con International: San Diego began in 1970 when a group of comics, movie, and science fiction fans — including the late Shel Dorf, Ken Krueger, and Richard Alf — banded together to put on the first comic book convention in southern California. Comic-Con started as a one-day “minicon,” called San Diego’s Golden State Comic-Minicon, on March 21, 1970 at the U.S. Grant Hotel in downtown San Diego. The purpose of this single–day event—which included two special guests, Forrest J Ackerman and Mike Royer, and drew about 100 attendees—was to raise funds and generate interest for a larger convention. The success of the minicon led to the first full-fledged, three-day San Diego Comic-Con (called San Diego’s Golden State Comic-Con), held August 1–3, 1970, at the U.S. Grant Hotel, with guests Ray Bradbury, Jack Kirby, and A. E. van Vogt. 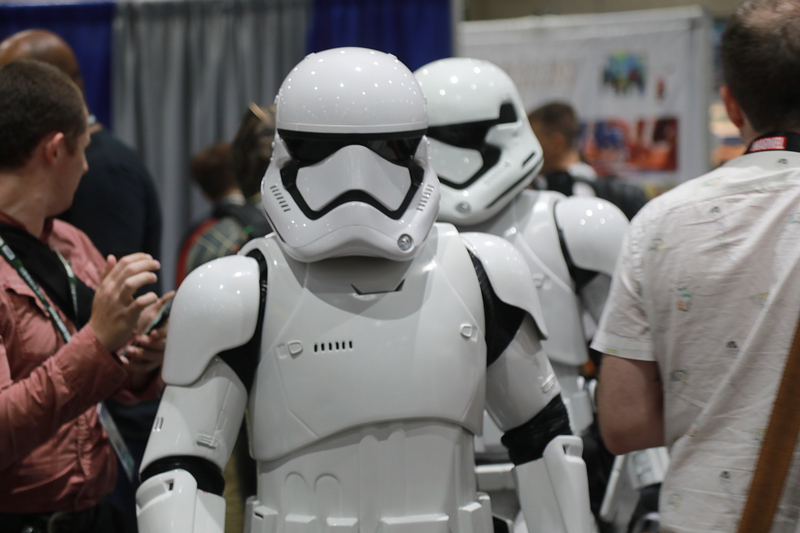 Over 300 attendees packed into the hotel’s basement for that groundbreaking event, which featured a dealers’ room, programs and panels, film screenings, and more: essentially, the model for every comic book convention to follow. From the beginning, the founders of the show set out to include not only the comic books they loved, but also other aspects of the popular arts that they enjoyed and felt deserved wider recognition, including films and science fiction/fantasy literature. 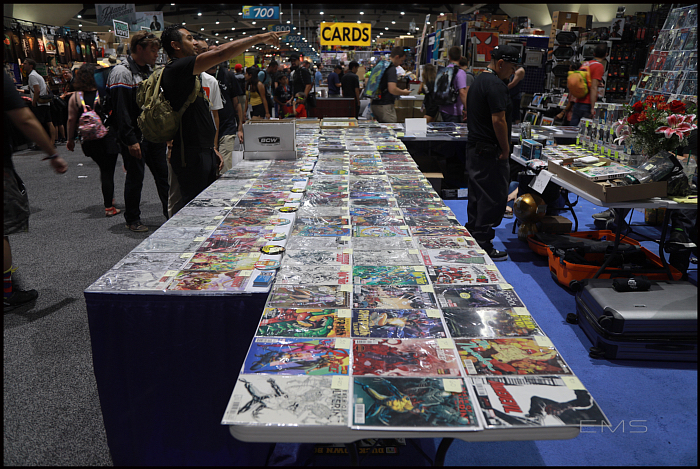 After one more name change (San Diego’s West Coast Comic Convention, in 1972), the show officially became the San Diego Comic-Con (SDCC) in 1973 with the fourth annual event. 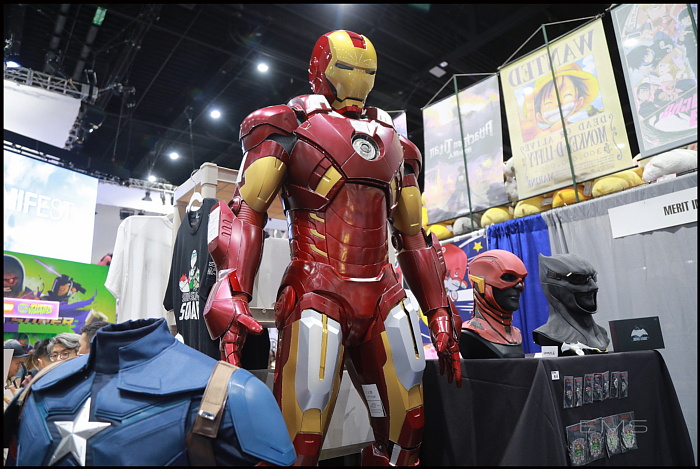 In 1995, the non–profit event changed its name to Comic-Con International: San Diego (CCI). The show’s main home in the 1970s was the fondly remembered El Cortez Hotel in downtown San Diego. 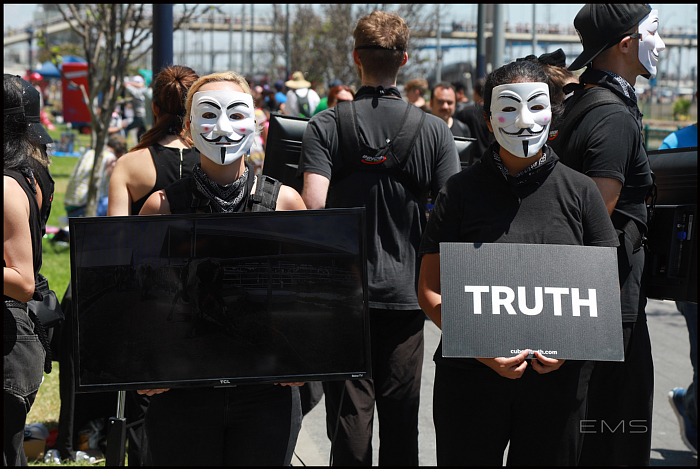 In 1979, Comic-Con moved to the Convention and Performing Arts Center (CPAC), and stayed there until 1991, when the new San Diego Convention Center opened. 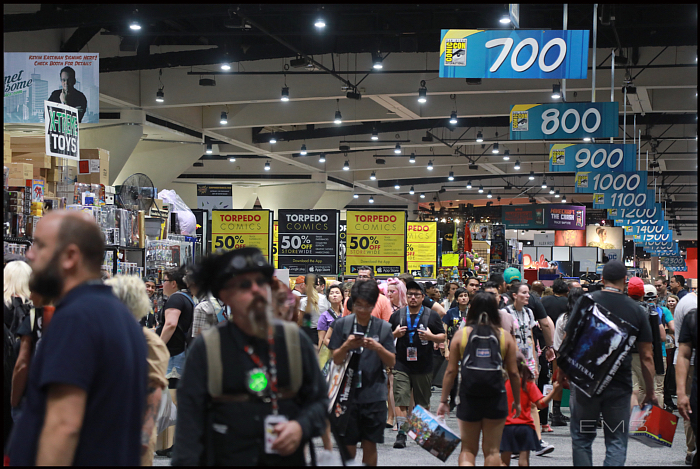 Comic-Con has been at home in that facility for over two decades. 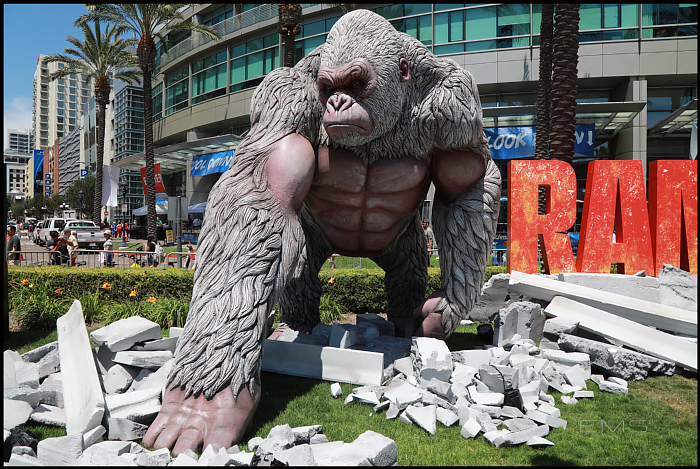 Over the years, Comic-Con has become the focal point for the world of comics conventions. 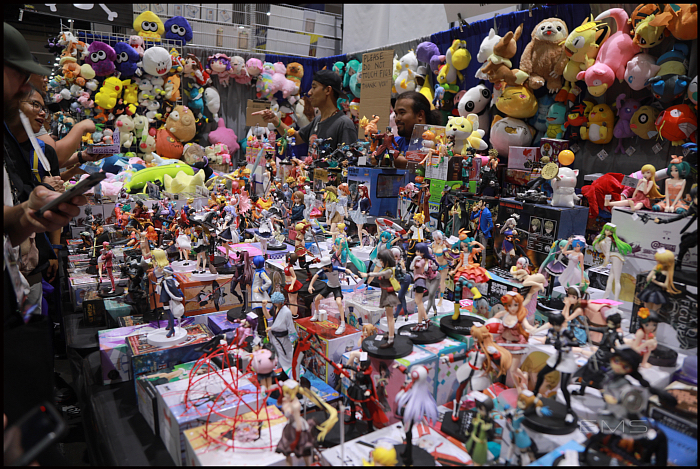 The event continues to offer the complete convention experience: a giant Exhibit Hall (topping over 460,000 square feet in its current incarnation); a massive programming schedule (close to 700 separate events in 2014), featuring comics and all aspects of the popular arts, including hands-on workshops and educational and academic programming such as the Comics Arts Conference; anime and film screenings (including a separate film festival); games; the Will Eisner Comic Industry Awards, the “Oscars” of the comics industry; a Masquerade costume competition with prizes and trophies; an Autograph Area; an Art Show; and Portfolio Reviews, bringing together aspiring artists with major companies. Comic-Con has presented literally thousands of special guests at its conventions over the years, bringing comics creators, science fiction and fantasy authors, film and television directors, producers, and writers, and creators from all aspects of the popular arts together with their fans for a fun and often times candid discussion of various art forms. 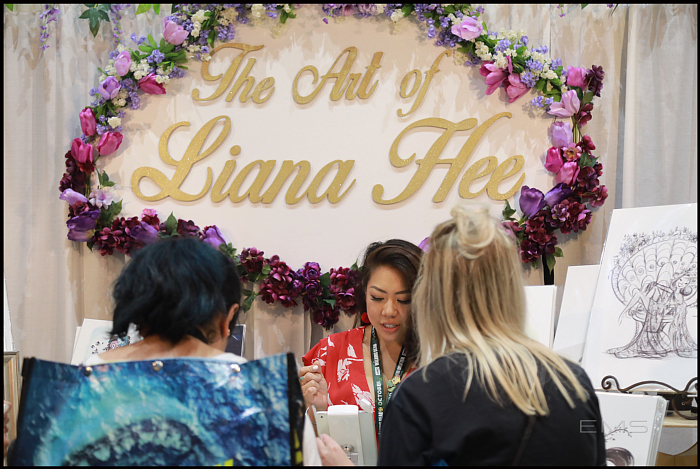 The event has seen an amazing array of comics and book publishers in its Exhibit Hall over the years. 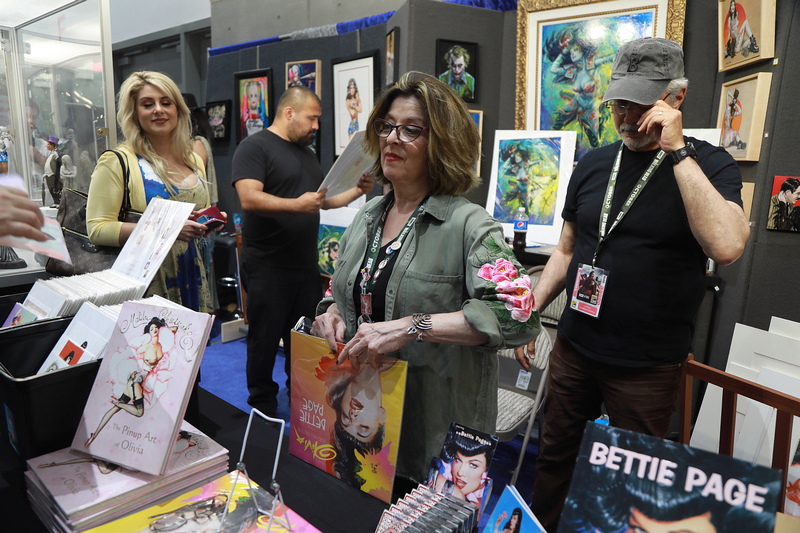 Over it’s four–and-a-half decade-plus history, Comic-Con International has continually presented comic books and comic art to a growing audience. 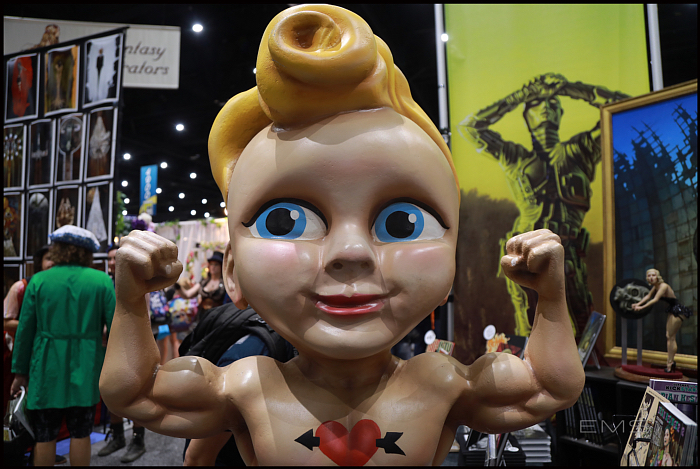 That love of the comics medium continues to be its guiding factor as the event moves toward its second half-century as the premier comic book and popular arts style convention in the world. EMS select images. More upon request.